About us - ČESTAND z.s. 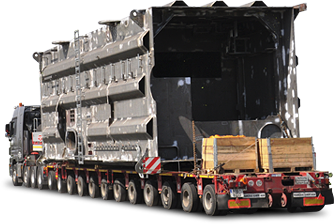 The ČESTAND association represents Czech heavy and oversize transporters and associated suppliers that play a key role in this highly specialized segment of transport. Currently, the association consists of 14 members. The supreme body is the Board of the association, whose chairman Jaroslav Nosräti and vice chairman Karel Vodička act on behalf of the association. The association is a member of The European Association of Abnormal Road Transport and Mobile Cranes (ESTA). • to create fair business relations among its members and to customers. In order to fulfil the purpose, the members are bound by a moral codex. • to be a strong partner to the authorities and institutions. The goal of the association is to provide high-quality heavy and oversize transports in a reliable, safe and efficient way.